This past April, the World Bank unveiled the Global Findex, the most comprehensive set of data on financial inclusion ever compiled. In strokes both broad and small, it paints a picture of where we stand in the fight to turn the 2bn unbanked poor of the world into active participants in a thriving, inclusive, digital economy. So where do we stand? In South Africa, the picture is promising: more than half of the poorest 40% in the country have a bank account of some kind. The picture seems somewhat less promising in other developing countries across sub-Saharan Africa, where three-quarters of the poorest 40% do not have an account of any kind. Look a little closer, though, and you can see signs of change. Sub-Saharan Africa is the only region in the world where more than 10% of adults, on average, report having a mobile money account. In Côte d’Ivoire, Somalia, Tanzania, Uganda and Zimbabwe, more adults use a mobile money account than a traditional account at a financial institution. So, overall, what the Global Findex says to me is this: we have work to do … and we are doing it. African nations are changing their own fortunes, and African companies are generating their own innovations. A self-sufficient Africa is emerging, and the world is taking notice. In Africa, and worldwide, the most important thing we can do to promote inclusion is to increase the availability and variety of digital financial services. Imagine every nation having a secure infrastructure that enables digital transactions at marginal cost. Imagine millions of poor people building up savings and making simple, convenient payments with the phones in their pockets. For many people, this is already happening. And I firmly believe, as does my team at the Bill & Melinda Gates Foundation, that we are only 15 years away from making this the norm for most people around the world. Financial inclusion is a global project, but in Africa it has both particular resonance and particular promise. We have large numbers of unbanked. And we have a remarkably strong current of innovation and progress in the realm of digital financial services. In addition to the popular M-Pesa service in Kenya, platforms like Zap in Tanzania and Orange Money in Uganda are successfully serving large numbers of customers and expanding their local digital economies. In South Africa, nonprofits like FinMark Trust and the Centre for Financial Regulation and Inclusion are doing fantastic work to make markets more open and amenable to the poor and unserved. Meanwhile, the Southern African Development Community (SADC) is mobilising its 15-nation membership to help create a mobile payments system that enables transactions across national borders — a welcome platform for the millions of migrants within the region, many of whose families rely on wages shared sent from abroad. 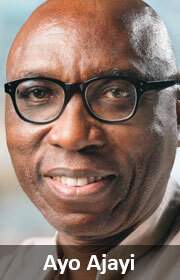 Taken as a whole, the worth of Africa’s mobile money market is expected to top US$14bn in just another five years. This growth will be a catalyst for economic development across the continent. Out of the swelling number of digital accounts will grow an entire ecosystem supporting digital transactions: merchants accepting digital payments, parents paying their children’s school fees digitally, patients paying for healthcare services and insurance using their mobile phones, and new business models we haven’t even thought of yet — models that aren’t possible in a cash-based economy. And along with all this will come the jobs and industry associated with maintaining and operating the digital infrastructure on which such an ecosystem will depend. In this way, the digitisation of African finance can help increase the proliferation of technology and technological skills that accelerate growth exponentially. 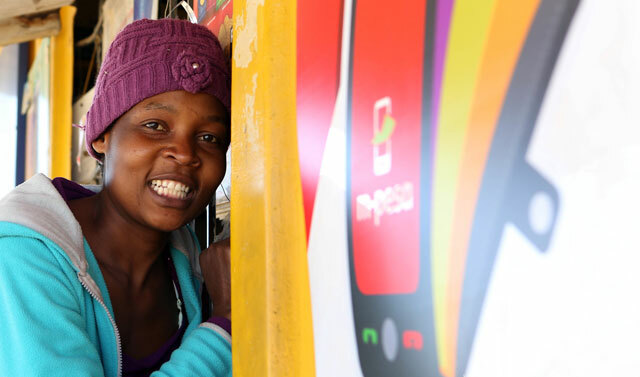 M-Pesa and other mobile money success stories draw attention to the critical role of the private sector in expanding financial inclusion. But it’s important to remember the critical role of government. Regulations and leadership set by national governments lay the foundation on which the private sector can flourish. Government sets the playing field, referees it, and enforces the need for security and integrity at all levels. The regulatory moves planned — and, to some degree, already accomplished — by the SADC nations are a wonderful example of how governments can plant a stake in the ground that gives the private sector the means and motivation to innovate. And the most important aspect of the tremendous, transcontinental success I foresee for digital financial services in Africa is that it will be rooted in local vision and action. Africa is shedding its reputation as a continent dependent on others for support. And the digital finance industry can be instrumental in cementing a new reputation: a self-sufficient, innovative continent, leading the way in bringing millions into the formal economy.